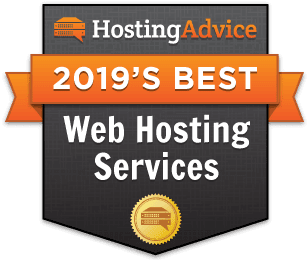 Our Linux web hosting reviews reveal the top plans in this market tout Linux operating systems, compatible software, and easy installations for that software, as well as the scripting languages Linux hosting customers prefer. To help you make a decision quickly, our experts pooled our research on the best Linux hosting providers and their plans and now present the following summary table. Remember, these are the shared Linux server hosting options, but we've reviewed the top VPS plans for Linux, too. Looking for something other than linux hosting? From hardware to software — here's everything you need to know about shared server hosting for Linux! Back when web design and development was just an intriguing interest to me, I used local servers on my university’s campus. I knew nothing about web hosting, just that my student ID gave me a website to subject to my awful HTML table-based designs. When it came time to leave the nest and forge my own hosting path, I blindly signed up for a Windows shared hosting plan because I recognized the operating system name. By that point, I was looking to figure out this whole WordPress platform I’d been hearing about — but not having much success. Within a few minutes, the support agent (who was probably annoyed with my cluelessness) switched me to a Linux hosting plan and the rest is history. Although novice hosting customers might not notice much of a difference between Windows and Linux hosting nowadays, the two types of servers have different performance, security, pricing, and database features that will influence how your website performs. Read on to learn more about Linux hosting and where to find the best deals. 1. The Basics: What is Linux Hosting? When shopping for shared hosting, you might notice a choice between Windows and Linux hosting. These different types of shared hosting allude to the operating system installed on the server holding your website. Because Linux and many of its supporting software and server technologies are open-source programs, the hosting packages are sometimes cheaper. You won’t notice much of a difference between the two operating systems, but Linux typically fits most customers’ needs the best. The platform you select depends on which languages you’re using to produce your website. Most notably, sites using PHP and MySQL — the scripting language and database system behind WordPress — should be on a Linux hosting plan. If you make your site using ASP.net, ASP, or SQL, you’re better off with Windows. Static sites using HTML and CSS can be hosted on either. The distribution used on your shared hosting account shouldn’t make much of a difference — the provider makes that selection based on ease of use, cost, support, and reliability. Larger businesses or more experienced developers might install different distributions on VPS or dedicated plans. Linux hosting comes in a variety of formats and handles the hosting needs of everyone from individual people to enterprise organizations. We’ve broken out our favorite hosts at each level, from shared to dedicated servers. Shared hosting servers house multiple websites at once. With a price tag of less than $3, you’d be surprised how many features iPage packs into their shared plans. The high-value host offers 24/7 network monitoring and enhanced security, along with support through phone, email, and chat. Their servers run CentOS in an Apache-friendly environment and include the wildly popular control panel, cPanel. Linux’s ease-of-use pairs perfectly with the affordability of iPage. A virtual private server, or VPS, gives website owners more control over the computing resources and environment allotted to their accounts. InMotion also runs CentOS and includes free security patches and updates for the operating system. In addition to unlimited MySQL databases, InMotion boasts power and flexibility with SSH access, SSD speed, and more than 310 easy installations of Linux-friendly apps. If you want to read about more VPS Linux hosting options, we’ve tested out and rated the best providers. The utmost in hosting, dedicated servers are completely devoted to your website or application. With no one else competing for CPU energy, dedicated hosting is a powerful option for companies looking for speed and scalability for their site(s). Liquid Web excels at hosting powerful, customizable environments. Liquid Web customers have their choice of operating system and custom configurations with SSDs and instant provisioning, in addition to object storage and load balancer add-ons. For more technical website owners, keep an eye out for which version(s) of PHP is/are supported, along with any limitations on MySQL databases. Some hosting packages will even give you the option of choosing your Linux distribution. Understandably, getting Linux hosting for free sounds appealing. The options do exist, but trust us — they’re not worth it. Companies offering free hosting can disappear in a flash or introduce severely limiting restrictions on your account. With such narrow margins for profit, free hosting providers don’t usually offer the most modern infrastructure or security measures. The servers and Linux distributions might not be updated frequently with free hosting plans, so you’re much better off with a reputable hosting provider and the additional resources included with a nominal fee. Spending a few bucks on a Linux shared hosting plan with a trustworthy provider will make a world of difference in terms of features like support, ease of use, and reliability. You’ll want to sign up with a host who guarantees at least 99.9% uptime, which is the industry standard. Uptime is critical to running a healthy and successful website, especially if you’re running a business. If your website isn’t available, you’re missing out on valuable potential visitors or customers. We give an edge to hosting companies who offer around-the-clock monitoring, free and automatic backups, and DDoS protection.